Hot mineral pools are a nice contrast to the chilly air in Papallacta. 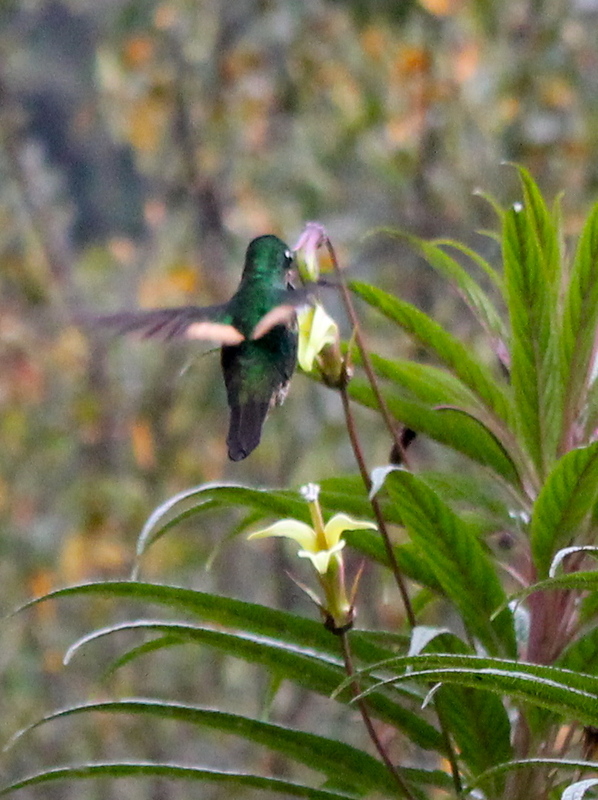 Hummingbirds thrive in Papallacta’s climate (as in much of Ecuador). In 1541, Francisco de Orellana became the first of the Spanish colonists to record a journey down the Amazon River. To do so, he first had to cross the eastern cordillera of the Andes. This weekend we crossed of the same pass he used, which now is one of the most important routes between the jungles of eastern Ecuador and its central highlands. In fact, the route is so important that the government has taken on one of its most significant construction projects: to widen the road, which is now just two lanes wide. Our reason for going was not to reach the jungle but to find the bubbling hot springs just on the eastern side of the pass. Runoff from the high peaks creates rushing streams. The eastern side of the Andes is awash in rain year-round as the moisture rising from the massive Amazon basin hits some of the world’s tallest mountains, condenses and falls. The area is often misty, and ground is very moist. The rushing streams formed by all this water – combined with natural springs from the mountains — are the earliest headwaters of the Amazon River. In addition, all the volcanic activity in this area produces underground heat, which causes hot springs all along the eastern slopes. Papallacta is one such hotspot. It has been developed into a sort of rustic resort with steamy pools. 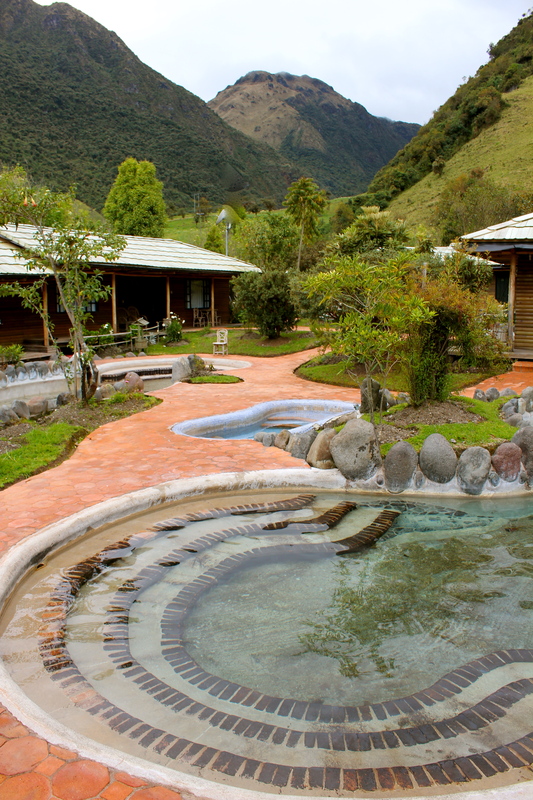 As Papallacta is actually Ecuador’s highest official “town” and 15th highest in the world (3,300 meters, a bit more than 10,800 feet), the hot mineral baths are most welcome, since the area is often cold, especially at night. But we have found the walks in the area to be beautiful. The semi-protected area around a stream that runs between farms in a verdant valley has become a haven for birds. 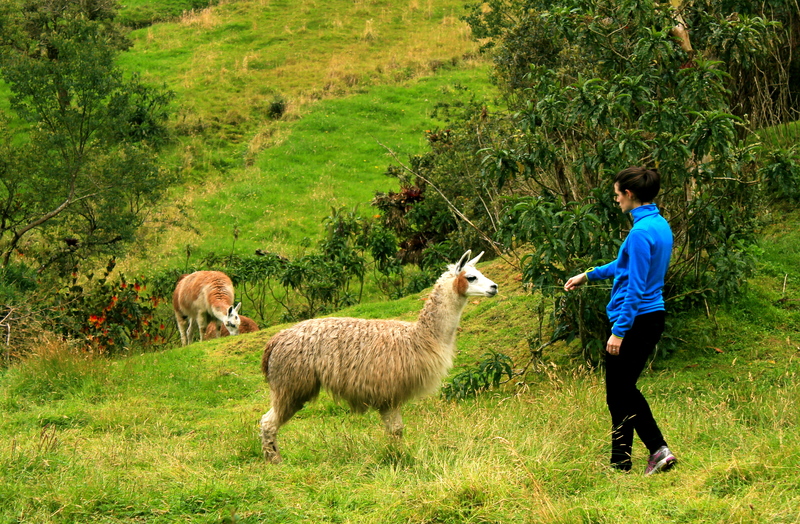 Petting llamas is one of my favorite Ecuadorian pastimes. Of course the farms are home to many llamas, so on our walks I stopped to pet a few- yes I never get sick of llamas. 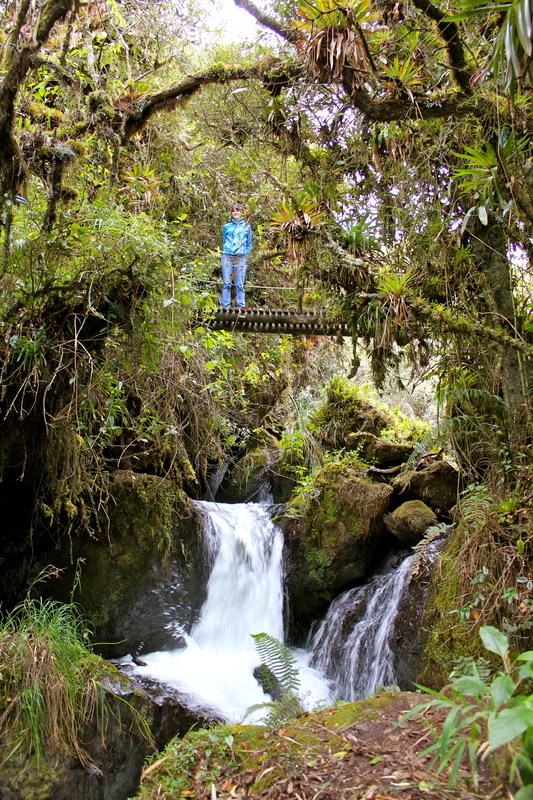 I wonder weather Orellana got to enjoy these hot springs after his hike through the Paramo. I’m sure that locals knew about the place, but would they have shared the secret with Orellana?